Model child. 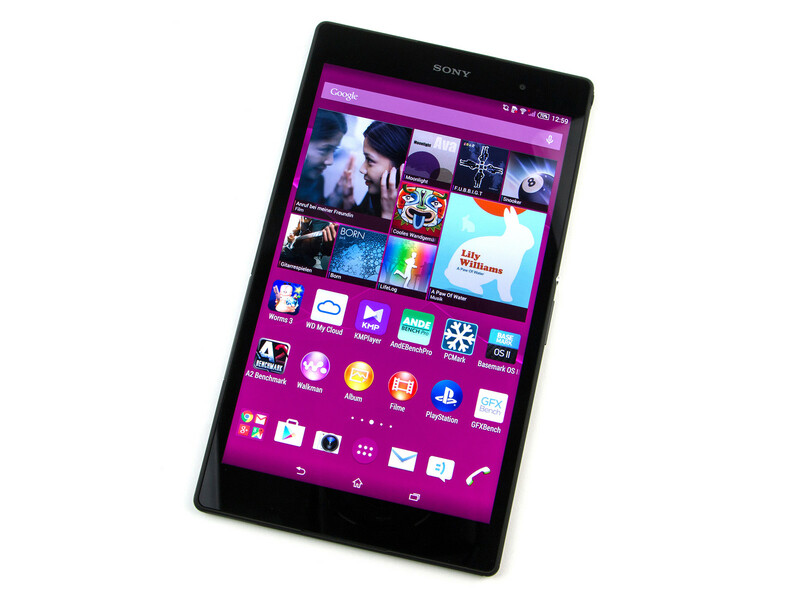 Sony's Xperia Z3 Tablet Compact has an 8-inch display that captivates with its high contrast and high resolution. 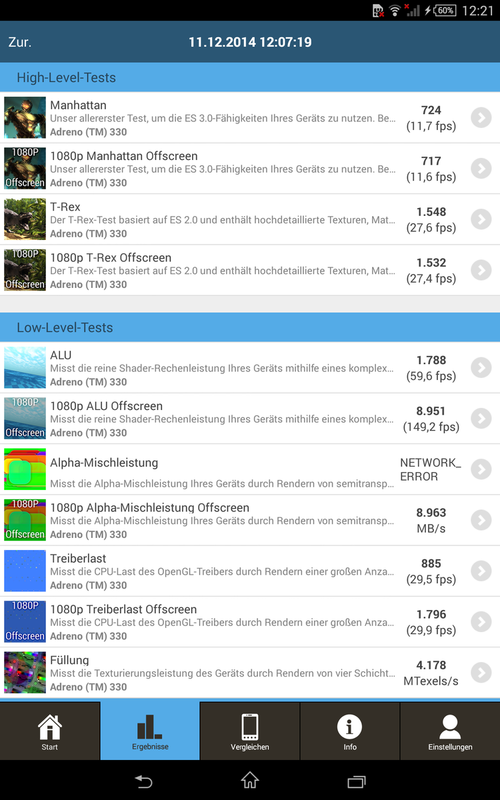 A fast SoC in combination with Android 4.4 results in a great system performance and the battery runtimes are excellent. It is also waterproof and dust-resistant. There is hardly any criticism beyond the usual nitpicks. The Xperia Z3 Tablet Compact is Sony's first 8-inch tablet and it is already a really good product. Both the features and the price are in the high-end segment. As well as a fast Snapdragon 801, you get a generous 3 GB of RAM. 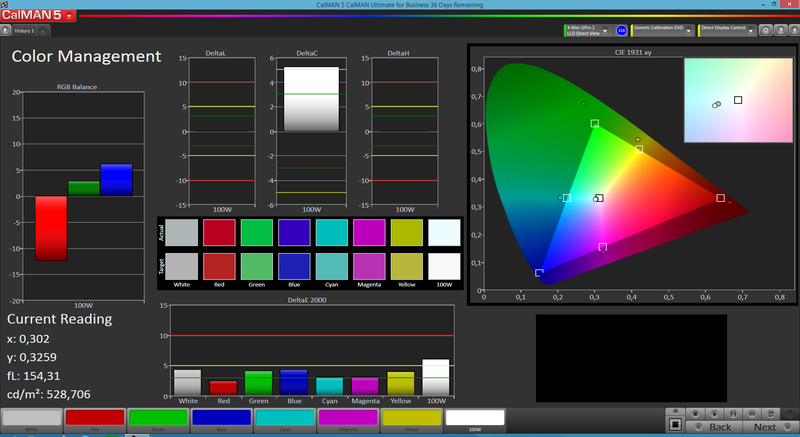 The display has 1920x1080 pixels, very rich colors and a high contrast. 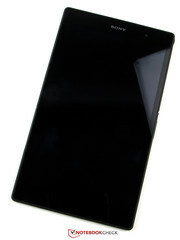 The IP certification, which is typical for Sony devices by now, also applies to this tablet and assigns it as waterproof as well as dust-resistant. There are three versions of the device. The two Wi-Fi models are available with 16 or 32 GB flash storage (379 and 429 Euros; ~$452 and ~$512, respectively), the LTE model (479 Euros; ~$571) on the other hand, only has 16 GB, which is also our review device. The rivals are in the same price range and also use high-end hardware, only the Apple iPad Mini 3 (starting at 389 Euros; ~$464) did not get a hardware upgrade this year. The Samsung Galaxy Tab S 8.4 (starting at 299 Euros; ~$356) and the HTC Google Nexus 9 (starting at 399 Euros; ~$476) use Google's operating system. The Amazon Kindle Fire HDX 8.9 (starting at 379 Euros; ~$452) on the other hand, uses a heavily customized version of Android. The stereo jack is slightly protruding from the case. The product information is on a small piece of paper. The Sony Xperia Z3 Tablet Compact is mainly available in black, only the cheapest version (16 GB, Wi-Fi only) is also available in white in the Sony store. However, retailers should also offer all the other versions in white. 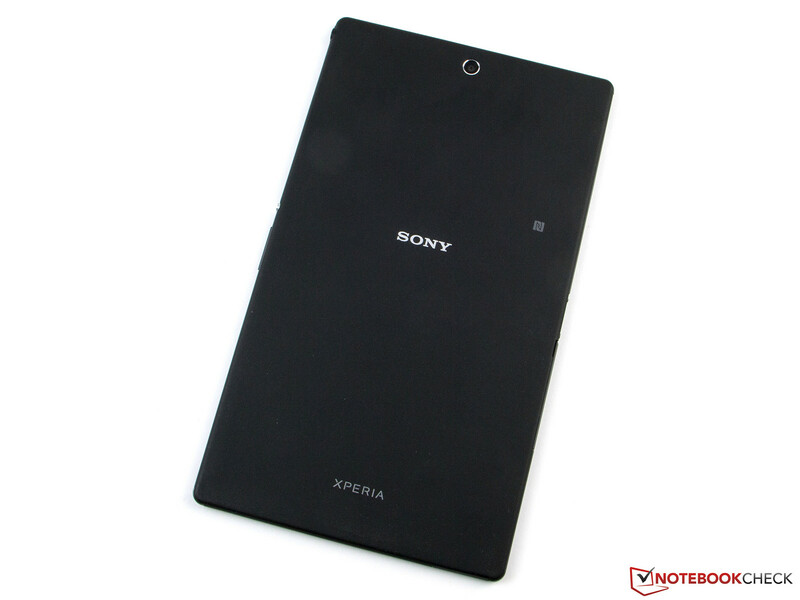 Just like the larger Xperia Z2 Tablet, the review device is extremely slim with just 6.4 millimeters (~0.25 inches). It also weighs just 270 grams (~9.5 ounce). The Tab S 8.4 (301g; ~11 ounce) is slightly heavier, the Nexus 9 (422g; ~15 ounce) on the other hand weighs much more. The iPad Mini 3 (331g; ~12 ounce) is also noticeably heavier and is the only device within the comparison that has a smaller display as well as a heavier weight. The significantly smaller MediaPad X1 only weighs 239 grams (~8.4 ounce). The manufacturer primarily uses plastic for the tablet, but the frame is partly made of aluminum and the display is protected by mineral glass, which is supposed to be more scratch resistant. The back is slightly roughened so you have a good grip. 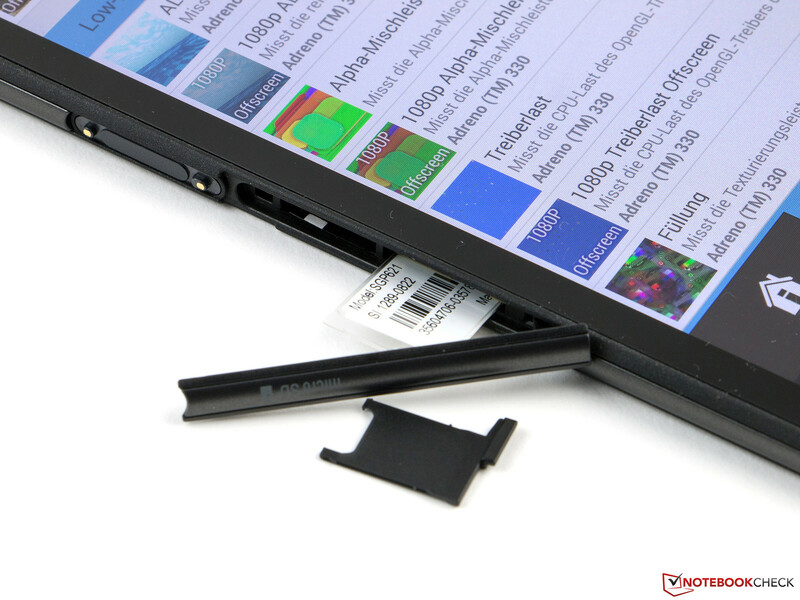 Because of the slim construction, it is relatively easy to twist the tablet and it also creates creaking sounds. However, it does return to its original shape. The pressure resistance is decent, but heavy force on the back quickly results in picture distortions on the panel. 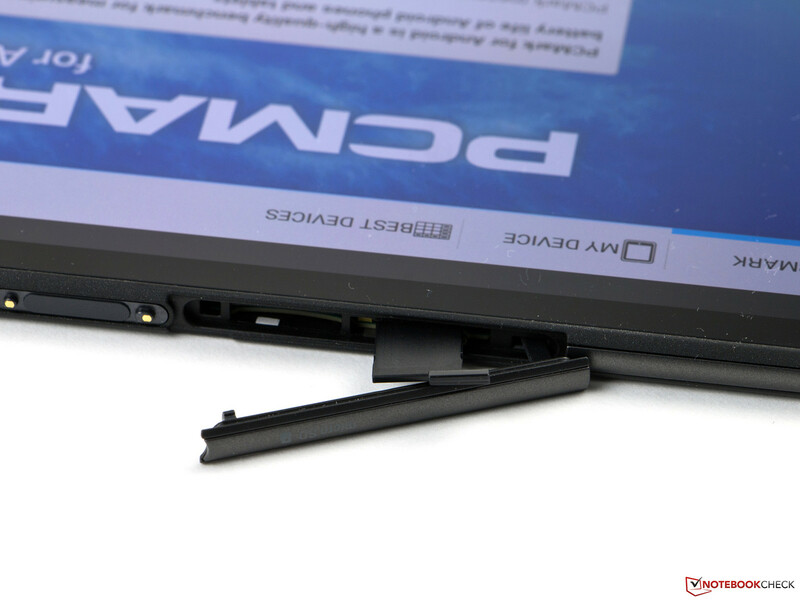 You do not need a lot of force for the slim frame, but this usually would not be a problem when you use the tablet. 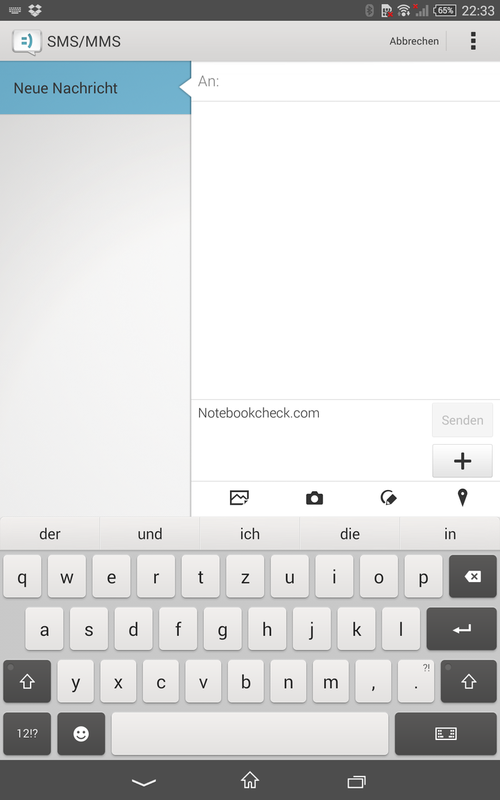 The gaps of the Xperia Z3 Tablet Compact are quite small and very even. The battery is fixed inside the case and cannot be replaced. The stereo jack is slightly protruding from the case, but it is not a problem. The IP certification includes the protection against damaging amounts of dust as well as hose water or the continuous submerging in fresh water. 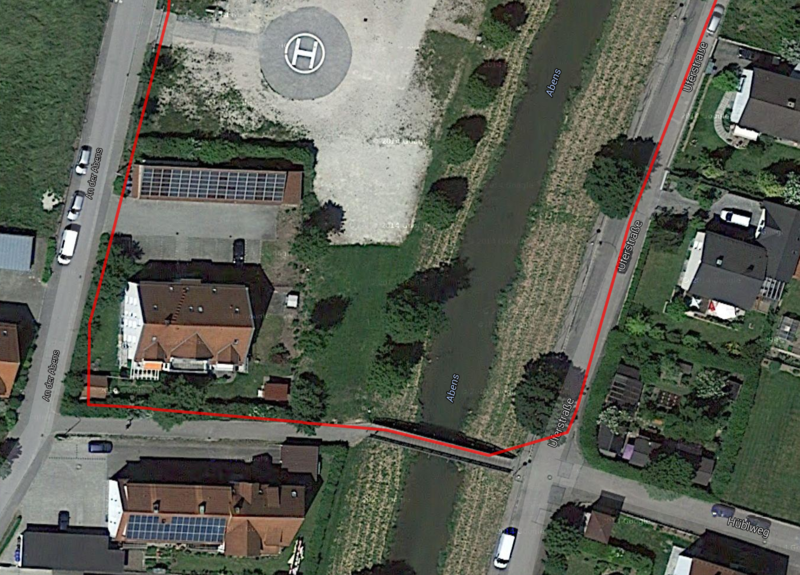 The latter is limited to a depth of 1.5 meters (~5 ft) and a duration of 30 minutes. Our tablet did not have any issues with a test bath. 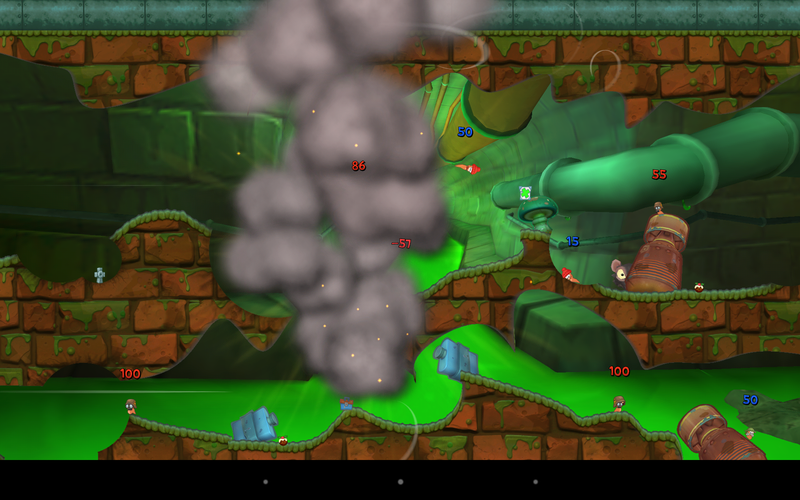 It is good that the responsiveness of the touchscreen is limited under water, so you can use it for underwater pictures. All the ports except for the stereo jack have covers to protect them against the water. 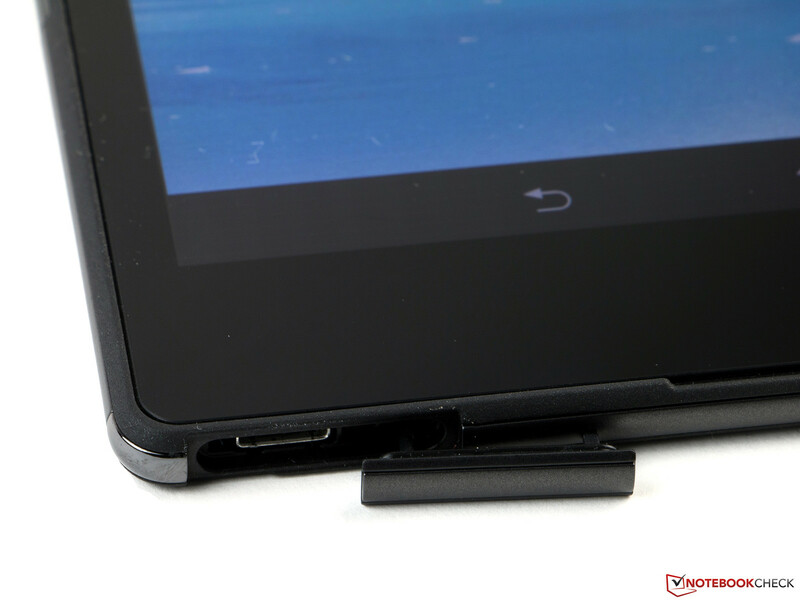 If you do not want to open the cover every time you charge the tablet, you should use the optional charging station that uses the two contacts of the docking port. There are no unsightly article information on the tablet. Sony has put them all on a small film, that can be pulled out from underneath the Nano SIM slot. 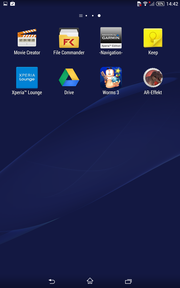 The Sony Xperia Z3 Tablet Compact really has a comprehensive set of features. The Micro USB 2.0 port cannot only be used to charge the tablet and for data transfers with a computer, but it also supports OTG as well as MHL 3.0. This means you can attach USB sticks or external input devices and transmit a wired video signal in Ultra HD to a TV. Unfortunately the port does not support the faster USB 3.0 standard. If you prefer wireless connections and Full HD, you can use either Miracast or DLNA to stream media files. However an infrared sensor to control your own home cinema is not integrated. The microSD slot can be used to expand the storage and supports cards with up to 128 GB. The LTE modem requires a Nano SIM card. No ports at the left side. 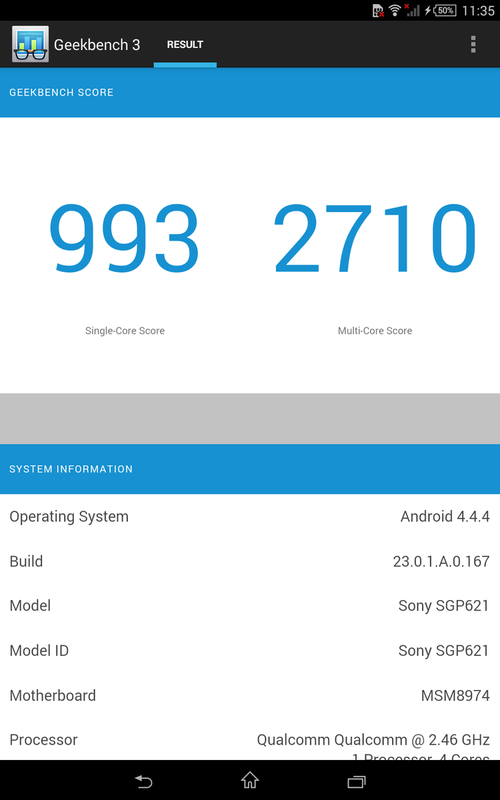 Operating system of the Sony Xperia Z3 Tablet Compact is Google Android 4.4.4 KitKat, which means you get the tablet with the latest bugfix version. The manufacturer also uses its own user interface (UI). An update to Android 5.0 Lollipop is supposed to be available in the first quarter of 2015. 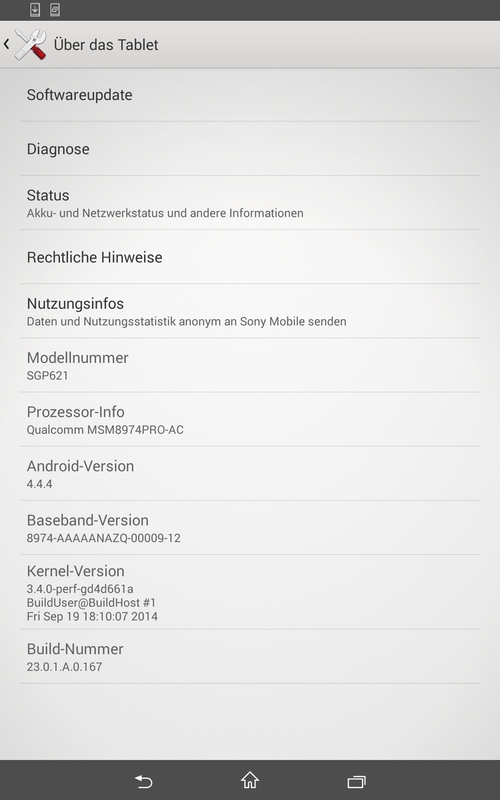 Android 4.4.4 KitKat is preloaded. 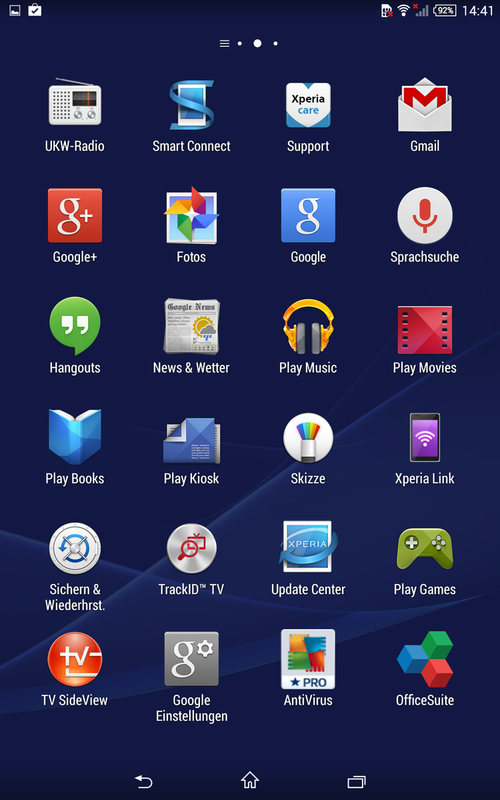 The UI is focused around the media apps and Sony's services. 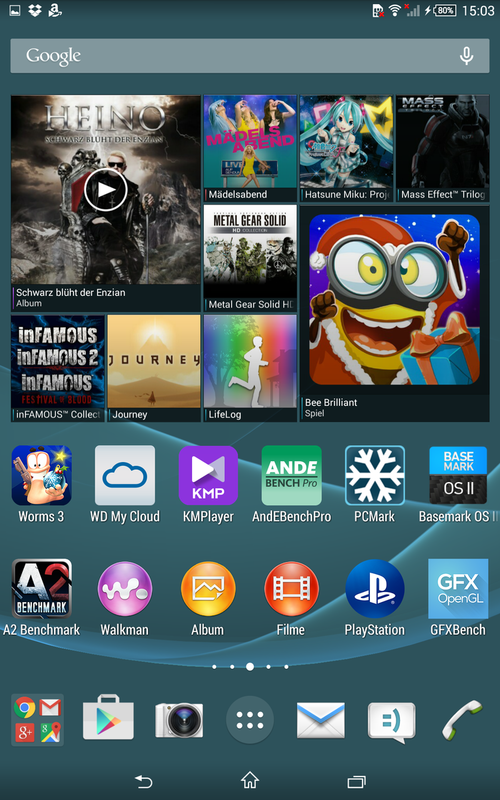 Third-Party apps are preloaded as well. Lifelog is an inherent part of the tablet, but you don't have to use it. You can record display videos. 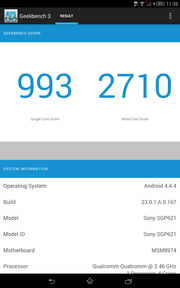 The Sony Xperia Z3 Tablet Compact has a WLAN module that supports the IEEE 802.11 standards a/b/g/n/ac in 2.4 as well as 5.0 GHz networks. The range is rather average. In direct proximity to the router (Fritz!Box 6360, 2.4 GHz), the damping is comparatively low with -45 dBm on average, but even two rooms further away, we measured up to -80 dBm. 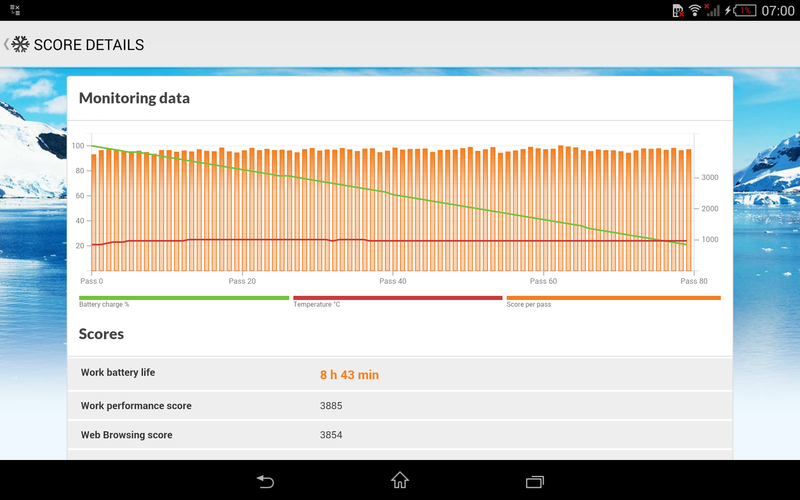 The tablet itself indicates a weak signal quality too and websites open rather slowly in this case. Still, an HD video stream ran smoothly. According to Sony, the transfer rates reach up to 433 Mbps. NFC and Bluetooth 4.0 are also integrated. The latter works very reliably, the sound was lip-sync and without distortions even when we streamed an HD video from the Internet. Mobile Internet connections with the Z3 Tablet Compact can be established via HSPA+ (up to 42 Mbps) or LTE Cat. 4 (up to 150 Mbps). The coverage of frequencies is very wide and should also ensure a good signal quality on vacation or business trips. If you want to use the Z3 Tablet Compact for VoIP chats, you will hear your dialogue partner quite well, but unfortunately this cannot always be said for your own voice. Because of the location of the microphone at the side it can easily be covered. You should not get too far away from the device either, since it will quickly affect the voice quality. Even in the perfect scenario we would just call the voice quality average. 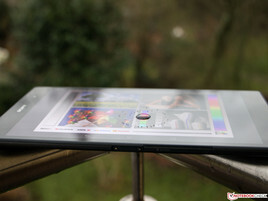 The tablet can use GPS, GLONASS and BEIDOU satellites to locate its position. 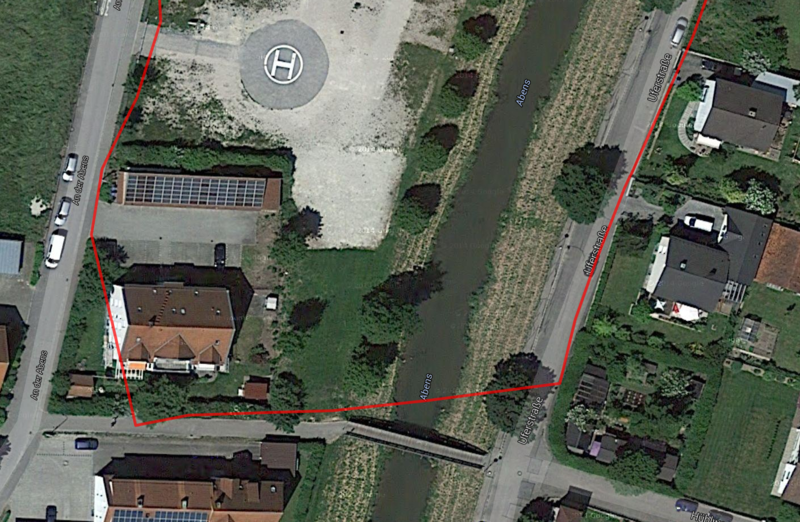 The satellite fix is quite quick and reliable, even indoors. 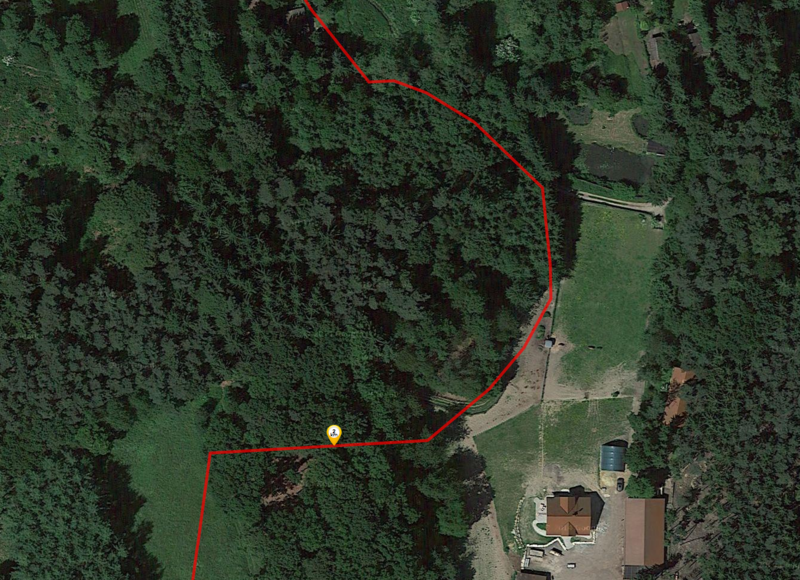 The location is almost immediate and also very reliable outdoors. There are, however, some smaller issues with the accuracy. 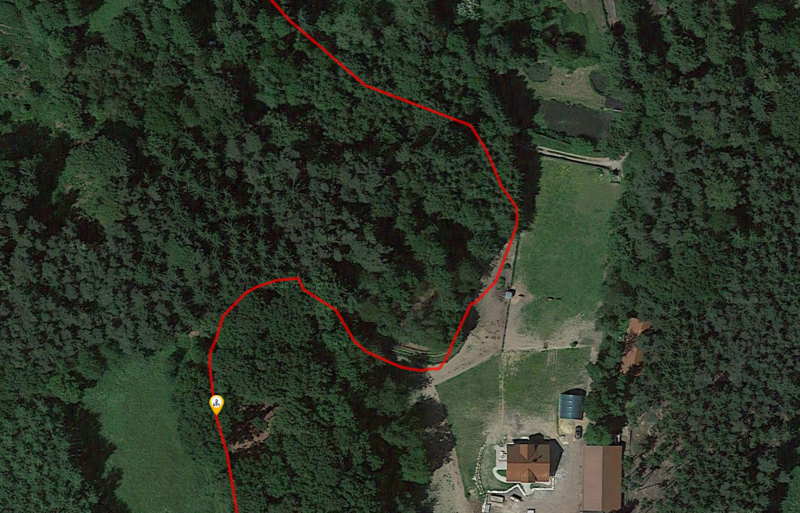 The deviations are pretty big compared to the bicycle computer Garmin Edge 500, especially on narrower roads or in difficult situations like in the forest. However, the overall difference was just 2.4%, which is still good. The Sony Xperia Z3 Tablet Compact has a 2 megapixels sensor at the front (1920x1080 pixels, 16:9), which can be used for video calls. It does capture a lot of light, but the pictures suffer from a lot of picture noise. The camera at the back has a much higher resolution of up to 8 megapixels (3264x2448 pixels, 4:3). The resolution drops to 6 megapixels (3264x1836 pixels) if you want to take a picture in the screen ratio 16:9. The light sensitivity can be manually adjusted up to ISO 1,600. Considering that an assisting light or flash is not available, we would have liked to see a higher sensitivity. Still, the pictures in bad lighting conditions are comparatively good, even though the details are slightly frayed. Luckily the automatic mode can use the full resolution. The pictures are quite decent in the daylight. 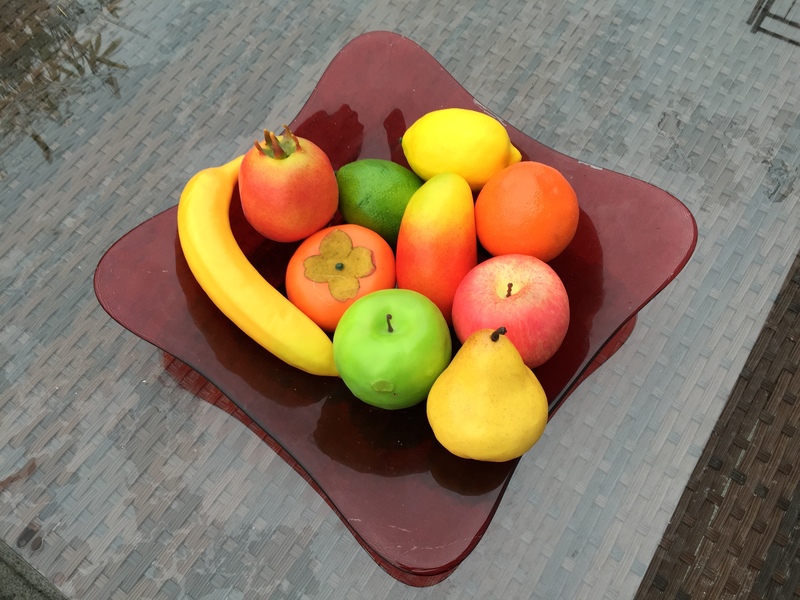 You can see a slight overexposure of the fruit (scene 1), which swallows up some details. The colors have a small blue cast and are slightly pale, which is particularly apparent in the environment picture (scene 3). Some detailed areas like the grass are only displayed as a pixel grid, an individual blade of grass cannot be recognized anymore. Still, the camera is certainly one of the best among tablets, even though it cannot compete with high-end smartphones. Videos with the Z3 Tablet Compact can be recorded in Full HD (1920x1080 pixels, 16:9, 30 fps) and the colors are once again slightly too pale. The major issue was the microphone, which only records in mono. The box of the Sony Xperia Z3 Tablet Compact only contains an USB cable as well as a modular power adaptor that has a nominal output of 7.5 Watts (5 Volts, 1.5 Amps). Sony also offers optional accessories like a protective cover, which can also be used as a stand, a charging station (39 Euros; ~$46 each) or universal accessories like Bluetooth speakers, additional batteries or power adaptors. Sony offers a 24-month warranty for its product, which cannot be extended. 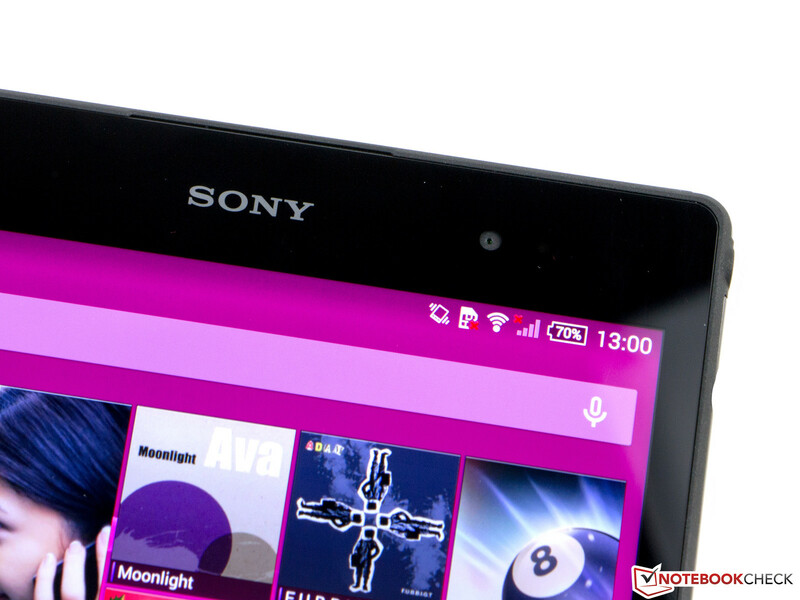 The capacitive touchscreen of the Sony Xperia Z3 Tablet Compact is the main input device of the tablet. It recognizes up to ten inputs simultaneously and has good gliding capabilities. Even inputs in the peripheral areas are recognized and executed quickly and accurately. Both the volume rocker as well as the power button are made of metal and have a short travel with a firm pressure point. 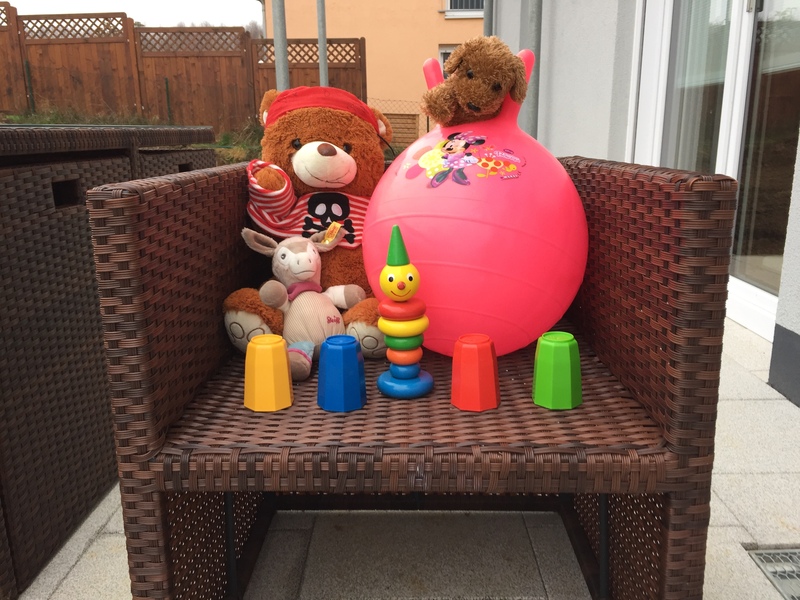 They react reliably and are easy to reach when you use the device in the portrait mode. 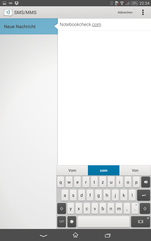 The virtual keyboard has a simple design. 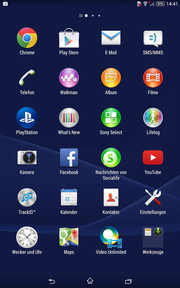 The layout is somewhat reminicent of the one from Apple. 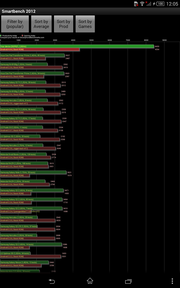 An additional row with numbers would have been nice, but the key size is good for inputs. 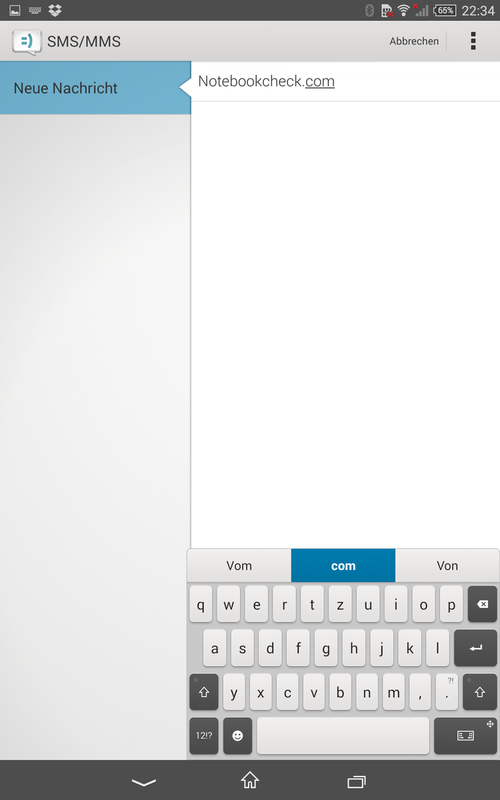 You can also change the layout, switch to a split keyboard for the thumbs or even a keyboard for one hand. 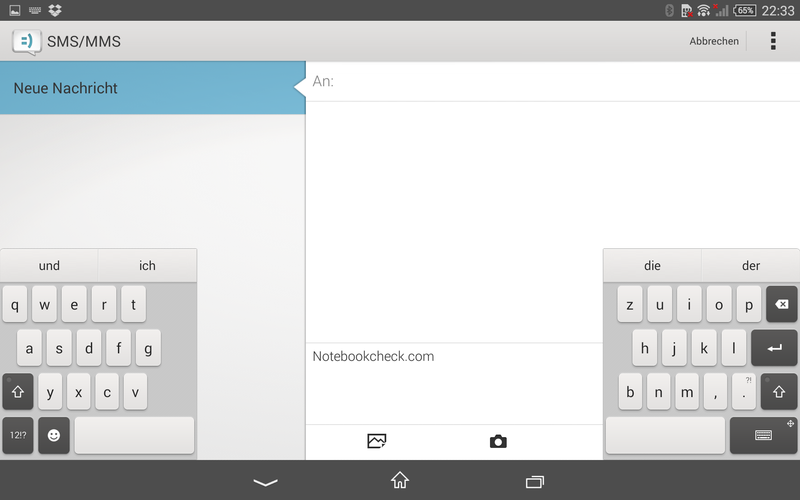 However, the latter is only really usable for users with a long thumb. 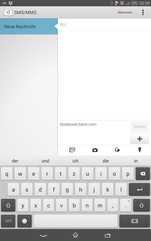 The additional row with word predictions works reliably. The display is bright and has a high contrast. 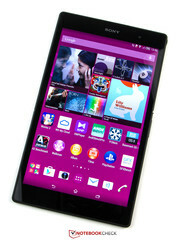 The Sony Xperia Z3 Tablet Compact has an 8-inch IPS display with a resolution of 1920x1200 pixels. 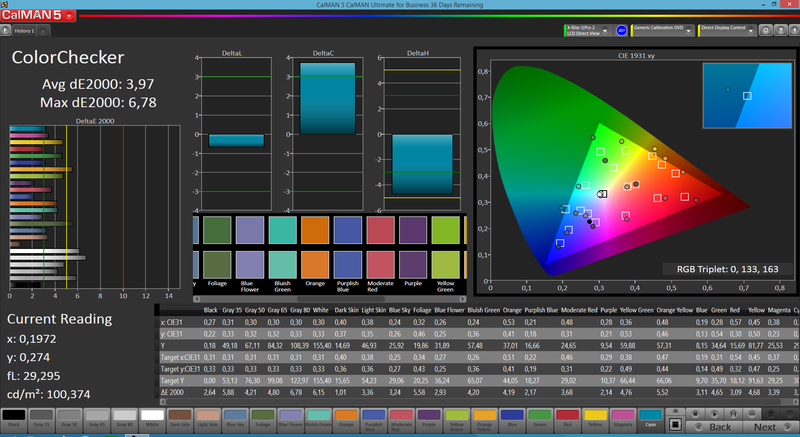 This means it has a screen ratio of 16:10 and a pixel density of 283 ppi. In theory, you can still see individual pixels, but we thought the review device was extremely sharp and produced rich colors. 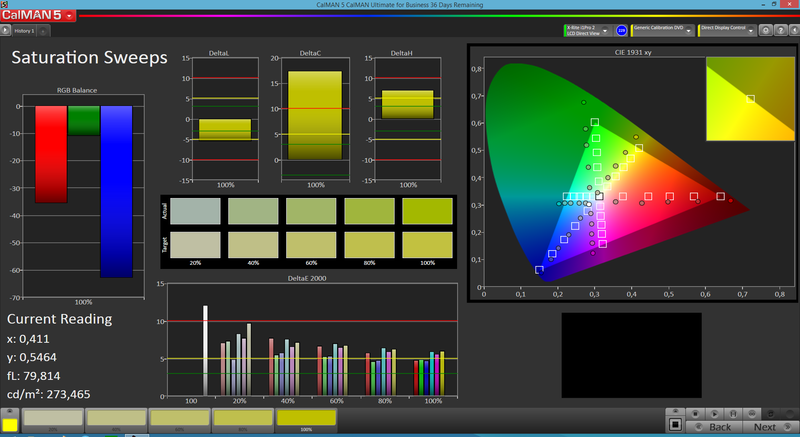 The display can be very bright and reached up to 540 cd/m², but the brightness distribution is still very even at the same time with 91%. 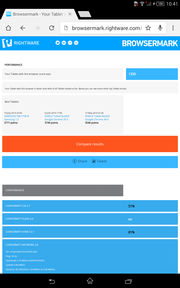 The other rivals also manage good results, only the iPad Mini 3 (up to 370 cd/m², 86%) falls slightly behind. We could not determine any screen bleeding in the review unit. 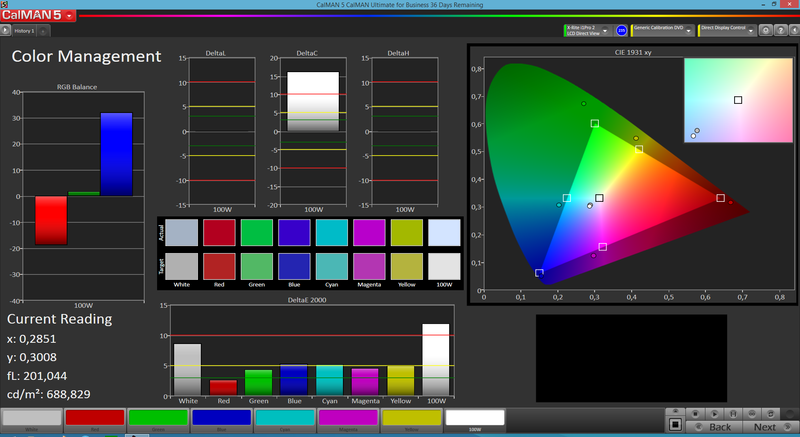 Manual white balance for natural colors. 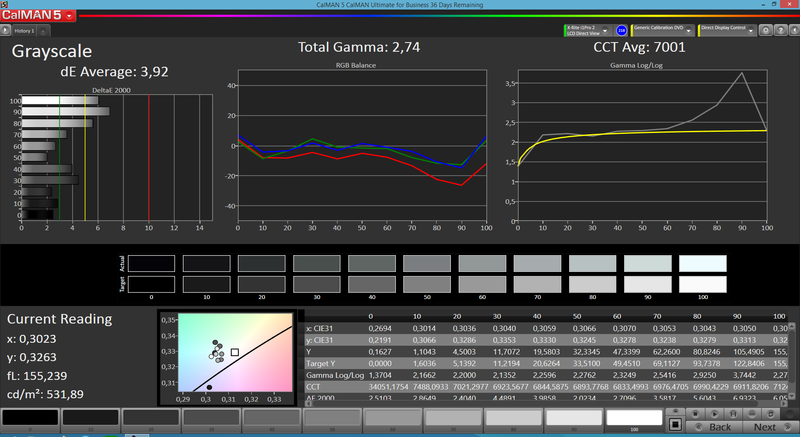 The black value of 0.66 cd/m² is surprisingly low when you consider the high luminance. 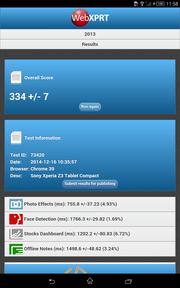 The result of the Sony Xperia Z3 Tablet Compact is much better than the Nexus 9 (0.77 cd/m², 558:1), for example, which can be very bright as well, but also has a higher black value. The black value of the review unit, which is still decent, results in a contrast of 805:1 that is only exceeded by the MediaPad X1 (0.57 cd/m², 900:1) among the rivals with LCD panels. 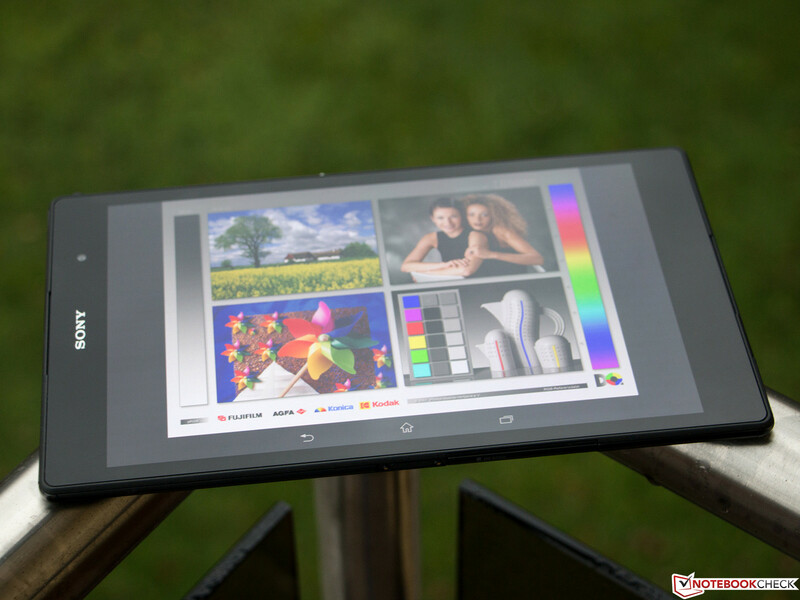 The Z3 Tablet Compact reveals some weaknesses in terms of color accuracy. The deviations in factory settings are so high that you can see them with the human eye. Pure white in particular shows a strong blue cast and the gamma value is slightly raised, which does improve the black value, but reduces the visible shades. 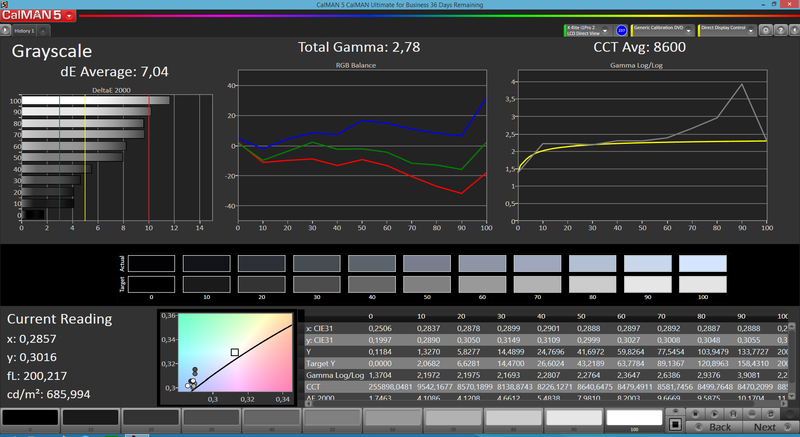 Both the grayscale as well as the ColorChecker show a DeltaE value of 10 or more. Every other rival is better. If you prefer a more natural result, you can use the manual white balance of the tablet and adjust the settings based on your personal preferences. 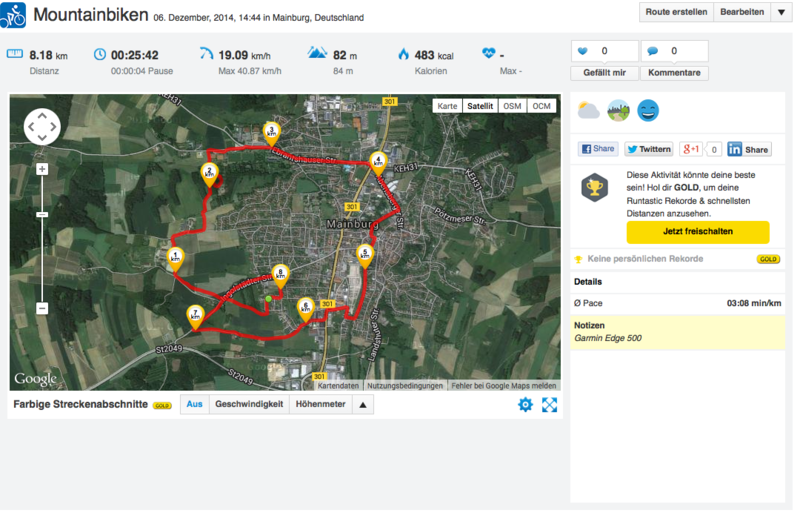 We recommend the settings on the screenshot for the most natural picture, so the deviations rarely exceed a DeltaE value of 5 and the review unit is on par with the rivals. 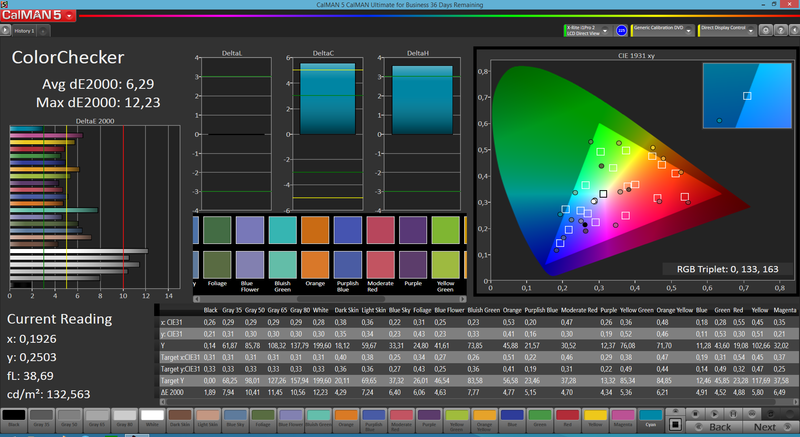 The color space coverage of the Z3 Tablet Compact on the other hand is very good and reaches around 91% of the sRGB color space. 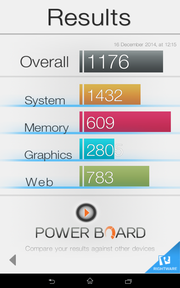 Only Samsung Galaxy Tab S 8.4 has an even wider gamut among the rivals. 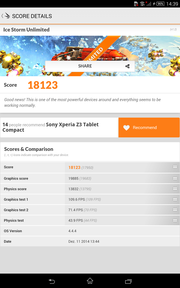 The Sony Xperia Z3 Tablet Compact does not only leave a good impression outdoors because of its IP certification. While it is nice that heavy rain is not a problem for the device, its use in very bright environments is still the biggest challenge. 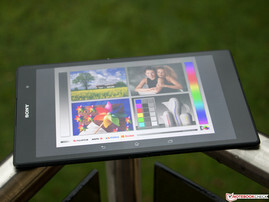 But even bright ambient light is not a problem for the tablet and the display content is always visible. Even direct sunlight is manageable if it is not a permanent condition. This means the Z3 Tablet Compact is also perfectly suitable for road trips. 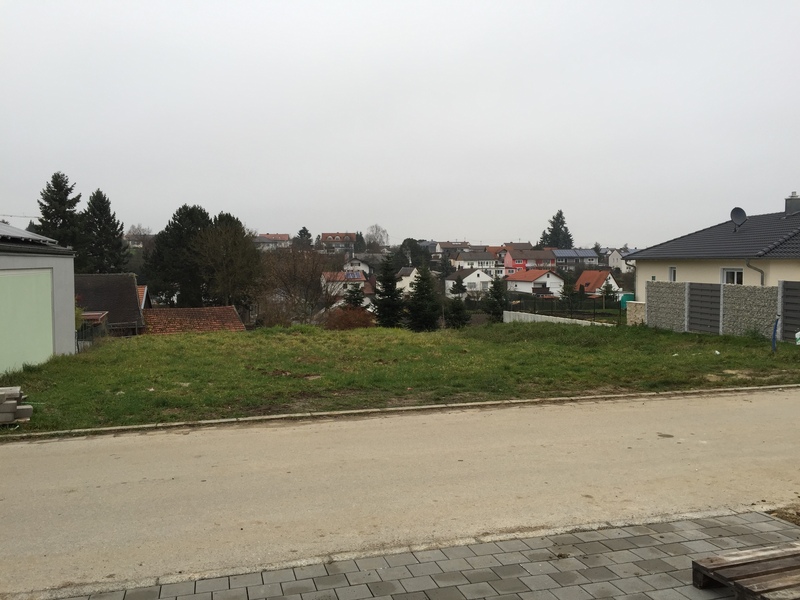 The Z3 Tablet Compact under a cloudy sky. Rain is no problem for the tablet, either. 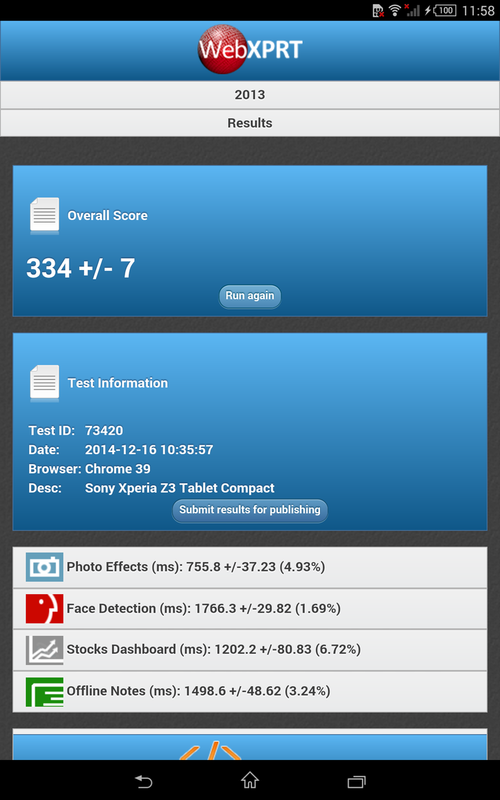 The viewing angle stability of the Sony Xperia Z3 Tablet Compact is very good. 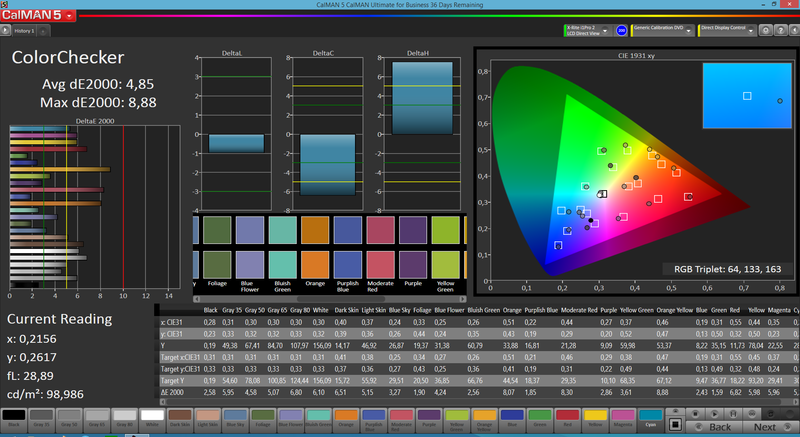 The IPS screen shows a very good performance and even wide shifts of the viewing angle only result in a slight brightness reduction. We could not determine a ghost effect. Great, there is no criticism in this section. The Sony Xperia Z3 Tablet Compact uses the fast Qualcomm Snapdragon 801 MSM8974AC SoC, which consists of a quad-core processor that is clocked with up to 2.5 GHz. The CPU is supported by 3 GB of memory and provides a smooth system performance. The Adreno 330 ensures a good graphics performance and is still one of the fastest GPUs on the market. It supports OpenGL ES 3.0 and runs with up to 578 MHz. 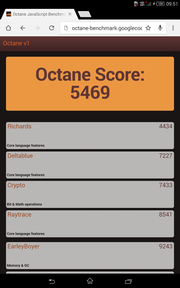 The benchmarks show that there are already faster SoCs like the Tegra K1 in the Nvidia Shield or the Nexus 9 (K1 Denver). The Snapdragon 805 is faster as well, but you still get a lot of performance and only the K1 tablets are usually ahead of our review unit in the benchmarks. The iPad Mini with the older Apple A7 processor is still very fast but cannot quite keep up anymore. The SoCs in the MediaPad X1 (Kirin 910) and the Galaxy Tab S 8.4 (Exynos 5420) on the other hand are not from the high-end segment, even though the latter in particular is sometimes very fast. 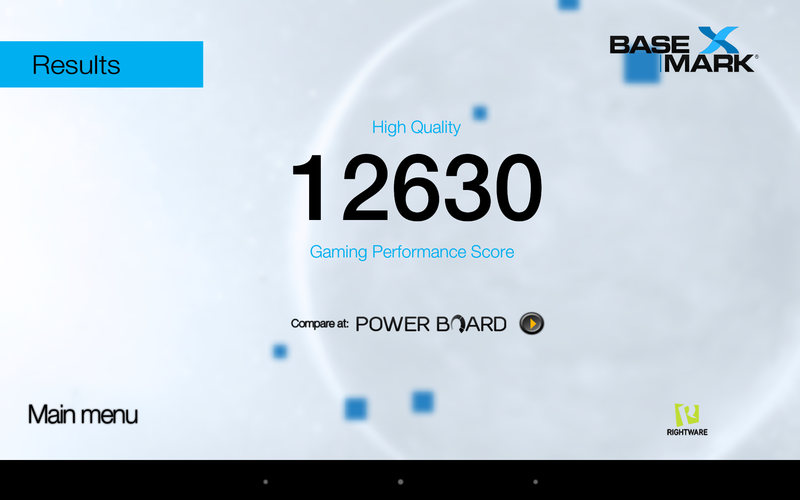 The Adreno 330 is still among the fastest GPUs, but the K1 is a better class by now. The review unit is only beaten by the iPad Mini 3 in the Onscreen benchmarks since it benefits from the lower screen resolution. 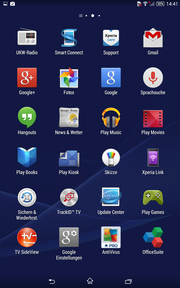 All in all, Sony uses a really powerful combination that is also well suited for more complex apps. 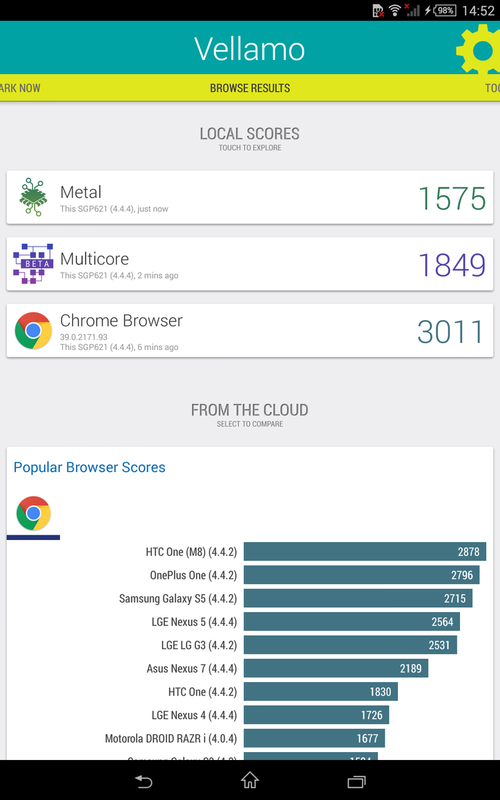 The browser performance of the Sony Xperia Z3 Tablet Compact is good in combination with the preloaded Google Chrome 39. 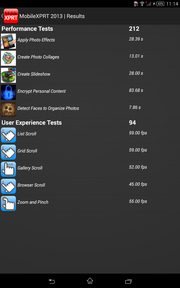 Subjectively, all websites were loaded very quickly. 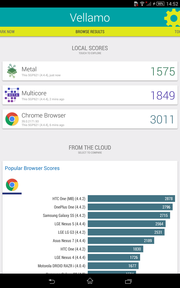 However, the benchmarks show that it cannot beat the more powerful rivals and the web browsing champion from Apple. Still, in practice, this would not have a negative effect. Our review unit has 16 GB storage, but according to the manufacturer, 5 GB are occupied by the firmware. This seems to be true since we could use around 10.8 GB for our own files after the initial start of the Sony Xperia Z3 Tablet Compact. The storage can be expanded by a microSD card with a capacity of up to 128 GB, but the device does not support App2SD, which means apps cannot be transferred onto the additional storage. This is a problem for gamers in particular, even though the tablet is otherwise well suited for this scenario. The performance of the flash storage is quite good, and is only beaten by the Nexus 9 within the comparison. 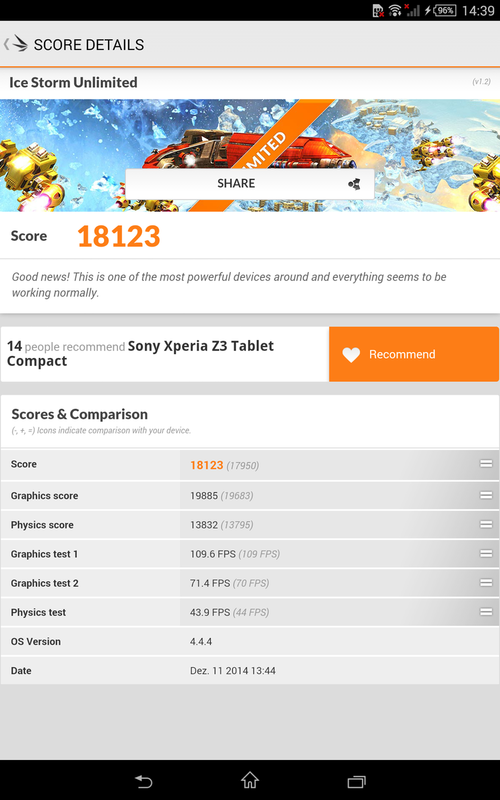 With its powerful GPU, the Sony Xperia Z3 Tablet Compact is perfectly suited for gaming. 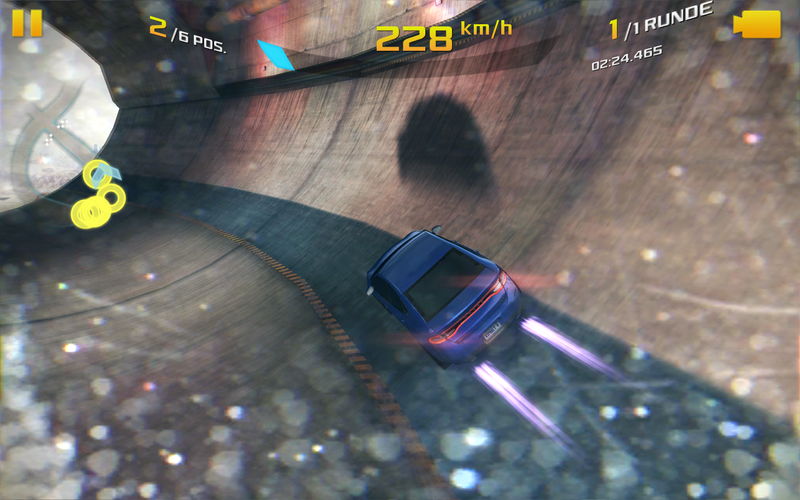 Even complex games like Asphalt 8 or Brother in Arms 3 run smoothly in high details. Unfortunately the internal storage capacity is rather meager for the 16 GB version since the correspondingly complex games also occupy a lot of space. 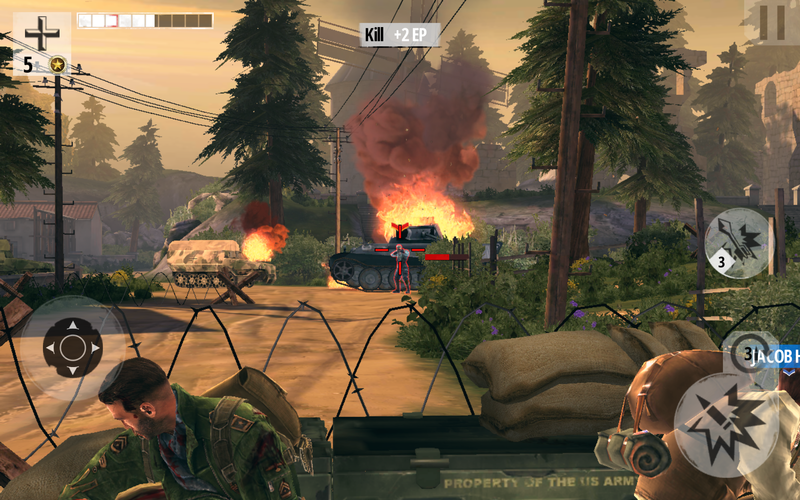 The touchscreen and the perfectly working sensors complement the gaming experience. Unfortunately the location of the USB port is not perfect if you charge the tablet and want to play at the same time. 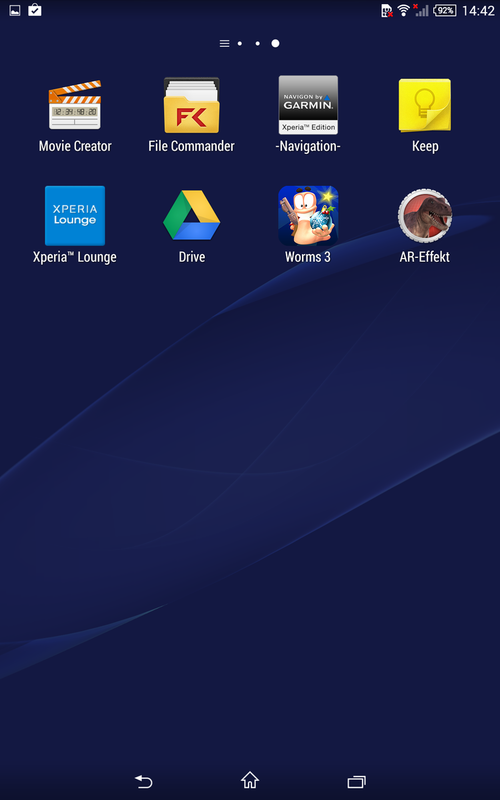 Like other mobile devices from Sony, you can also connect a Playstation controller with the tablet. But the manufacturer goes a step further with PS4 Remote Play. 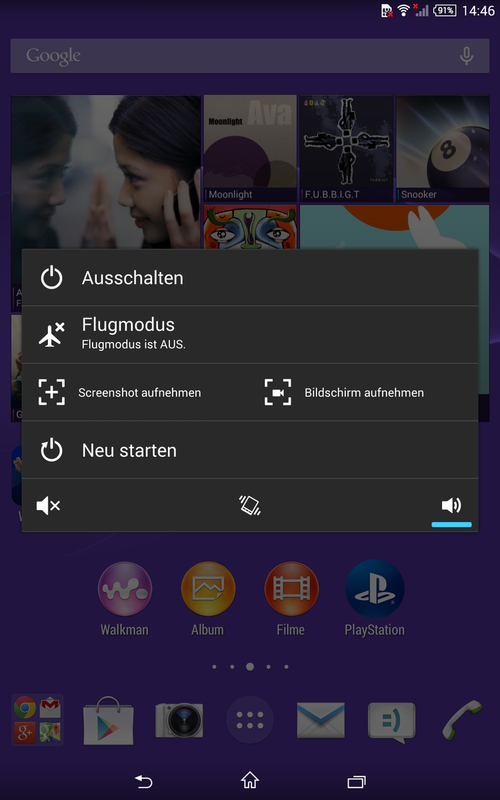 Every owner of a Playstation 4 can stream the current game from the console to the tablet via WLAN and continue to play. The performance is constant in PCMark. While idling, the Sony Xperia Z3 Tablet Compact warms up to 32.6 °C (~91 °F) at the front. We simulated maximum load with the app Stability Test and were able to measure surface temperatures of up to 41.3 °C (~106.3 °F) , which means the review unit is the warmest tablet within the comparison. 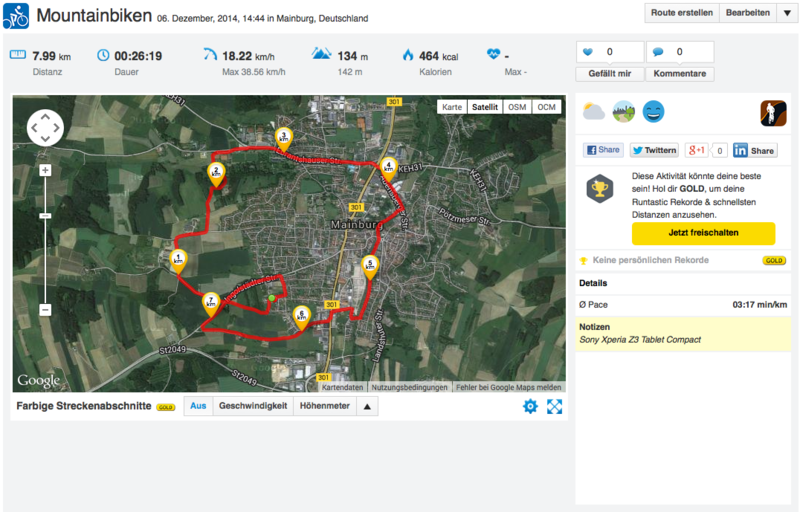 Only the MediaPad X1 (up to 41.0 °C; ~105.8 °F) gets similarly warm. The other competitors stay below 40 °C (~105.8 °F). The coolest device is the iPad Mini 3 (up to 36.7 °C; ~98 °F), despite the powerful SoC. 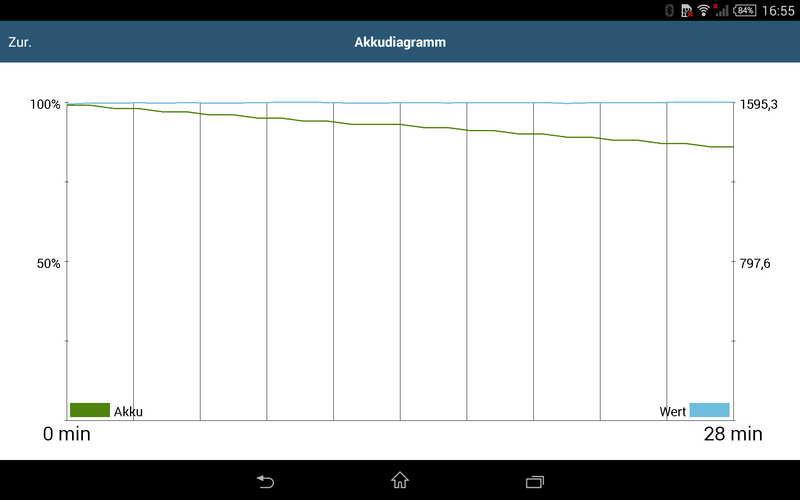 Still, none of the tablets reached critical values. More interesting is the heat development of the Snapdragon SoC under sustained load. 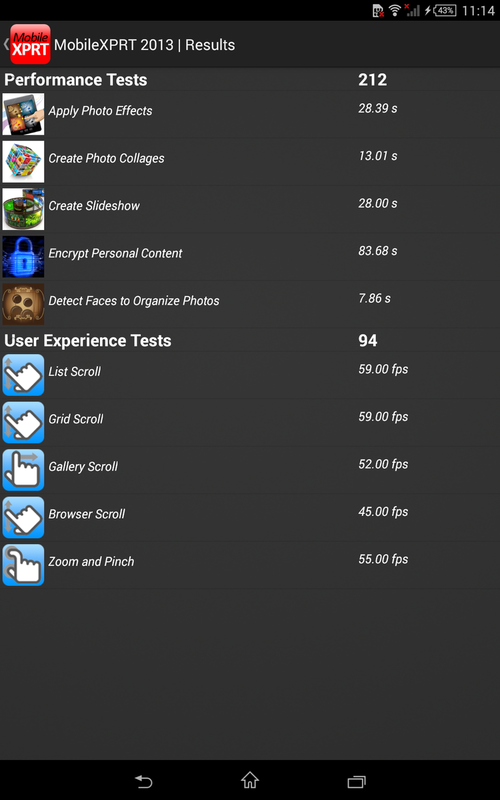 We tested this with the battery test of GFXBench 3.0, which is now called GFX OpenGL. The test repeats the T-Rex GPU test thirty times in a row and does not only monitor the battery capacity but also the frame rates. The latter were very stable over the course of the benchmark. This means the SoC can utilize its full performance all the time and does not have to throttle because of high temperatures. A similar scenario is simulated by PCMark for Android. The battery test runs a loop of the Work benchmark. 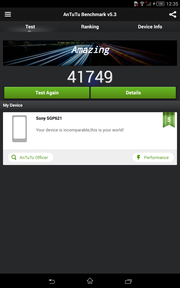 This test also monitors the stability of the SoC performance besides the battery capacity. Since the benchmark is much more realistic and focuses on web browsing, video playback and picture editing, it primarily uses the processor. But the results are once again stable, which means Sony has the temperature development of the SoC always under control. 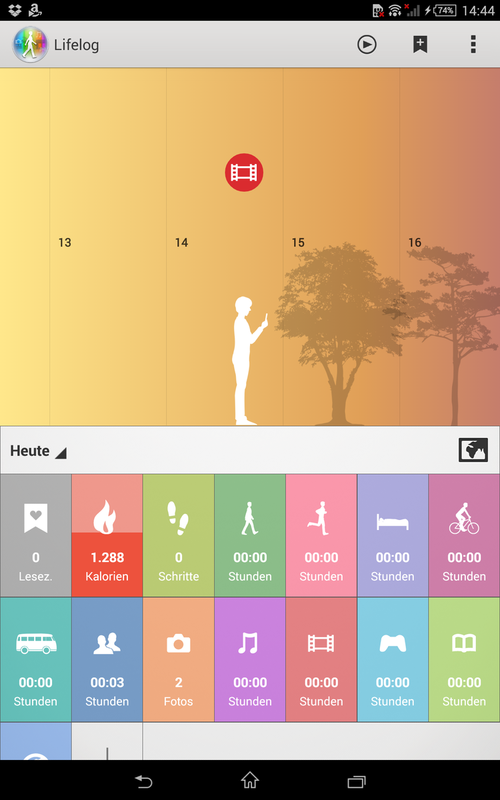 (±) The average temperature for the upper side under maximal load is 33.6 °C / 92 F, compared to the average of 30.7 °C / 87 F for the devices in the class Tablet. (+) The maximum temperature on the upper side is 36.4 °C / 98 F, compared to the average of 34.8 °C / 95 F, ranging from 22.2 to 51.8 °C for the class Tablet. 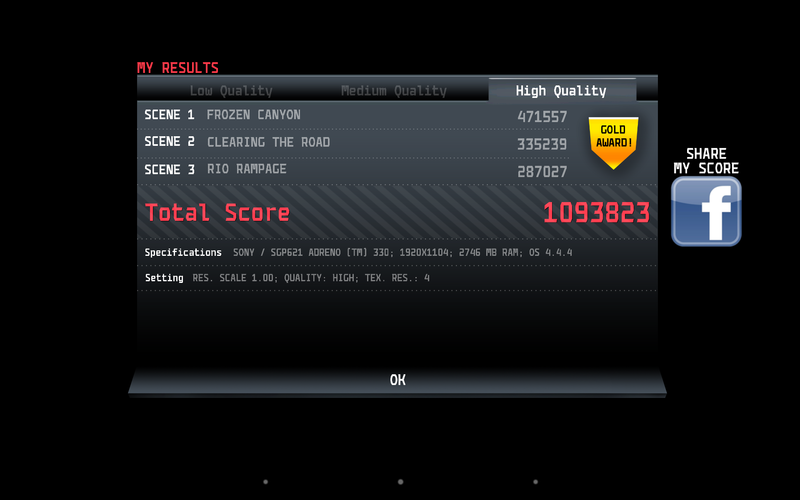 The speakers of the Z3 Tablet Compact are comparatively good. 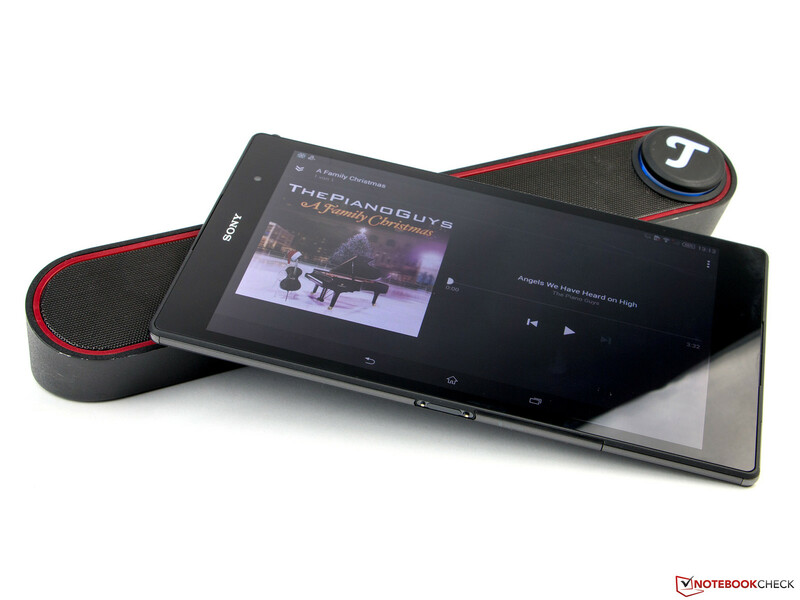 The Sony Xperia Z3 Tablet Compact has two stereo speakers, which surround the display in landscape mode. The openings are pretty subtle and you can only see them at close inspection. The layout is actually quite good since the probability that you accidentally cover them with your hands is rather low. The speakers sound comparatively good, but we miss a certain balance. The high tones are rather shrill as soon as you exceed a volume of 60% and slightly distort at the maximum volume. Medium tones are surprisingly good, the bass on the other hand is quite thin. 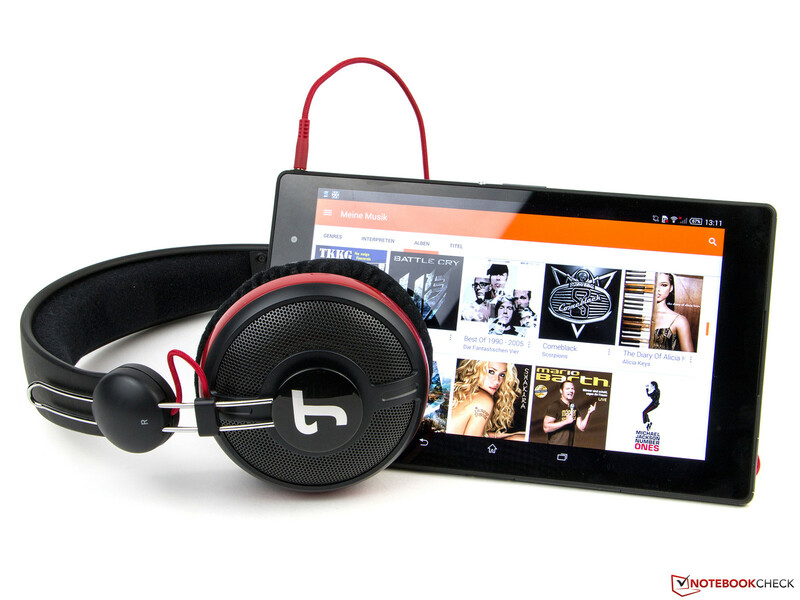 Music enthusiasts will probably prefer headphones or an external speaker, but the sound is sufficient for games and movies, even for long periods. Subjectively the stereo jack leaves a good impression and there were no distortions. 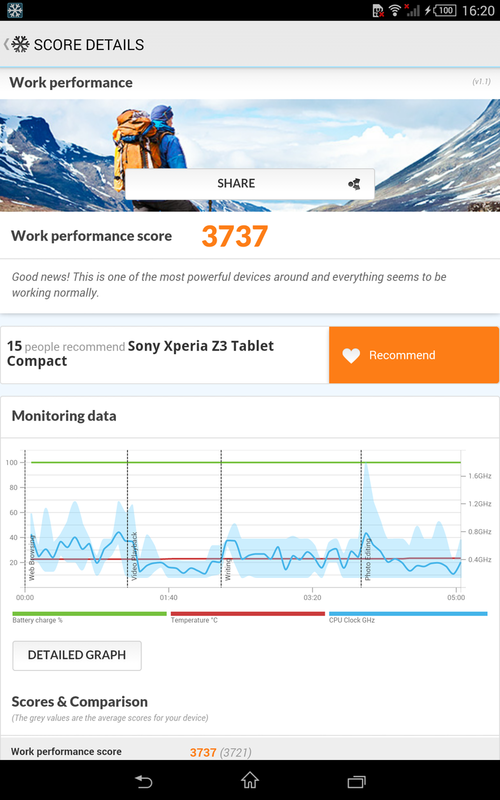 We were positively surprised by the power consumption of the Sony Xperia Z3 Tablet Compact. It is between 0.6 and 3.1 Watts while idling. The minimum consumption is very low, which is probably a result of the low luminance (15.43 cd/m²) with a dimmed display and the reduced SoC performance. But the maximum idle consumption is comparatively low as well, especially when you consider the high luminance of the panel. The significantly darker iPad Mini has an idle consumption of up to 4 Watts, the Nexus 9 even 5.2 Watts. 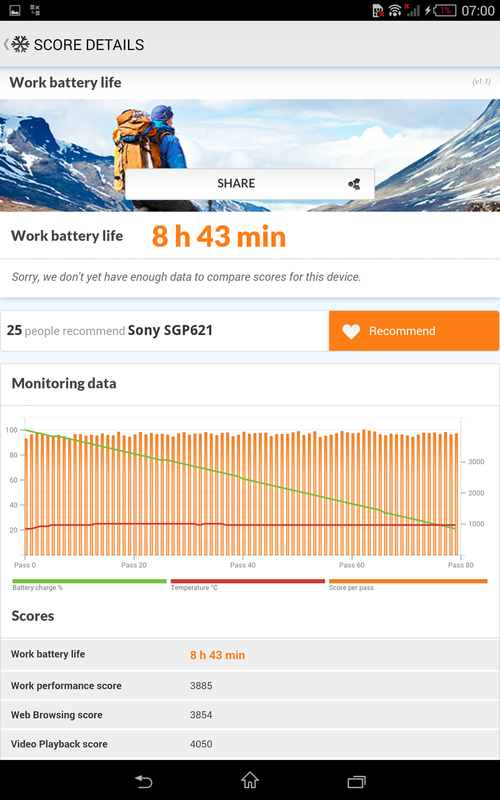 We simulated maximum load with the app Stability Test and the review device once again left a great impression since the consumption did not exceed 5 Watts. Even slower and smaller devices need more power. The Galaxy Tab S 8.4 consumes up to 9.5 Watts and the MediaPad X1 up to 6.5 Watts. The tablet manages great battery runtimes in all scenarios. 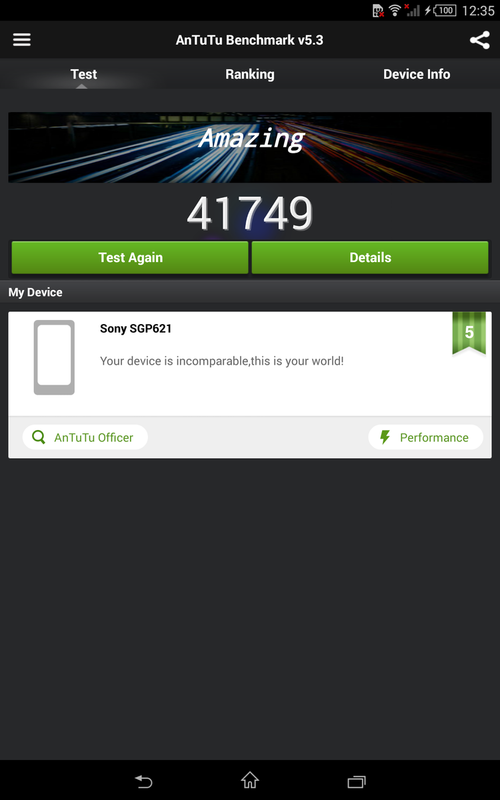 The battery of the Sony Xperia Z3 Tablet Compact has a capacity of 4,500 mAh. This is the smallest battery within the comparison, but it is not really surprising when you consider the slim construction of the tablet. 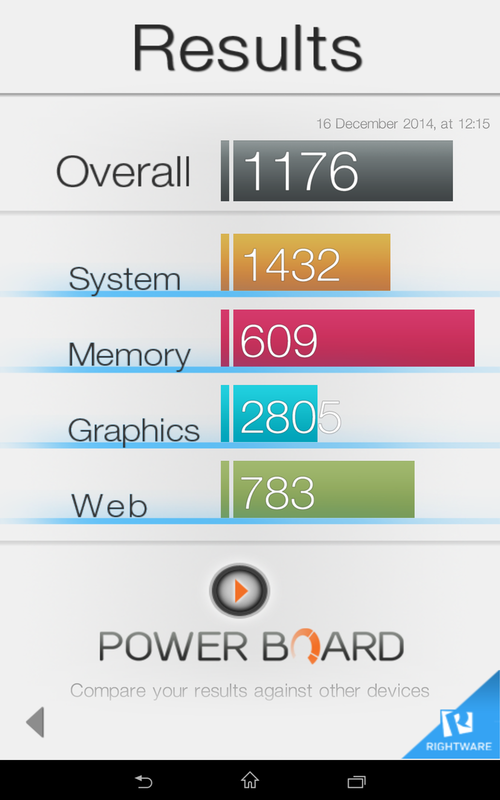 The review unit still manages to beat almost all the rivals, only the Huawei MediaPad X1 7.0 manages better runtimes. 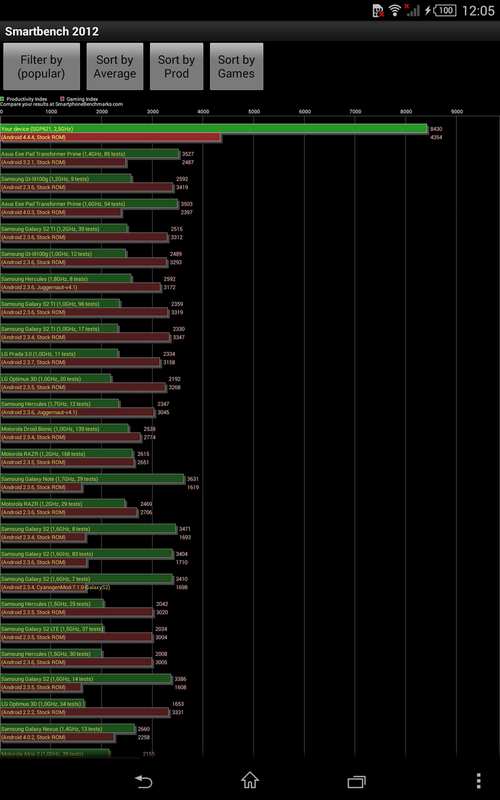 Both the minimum and the maximum runtimes are excellent. The tests with an adjusted display brightness of 150 cd/m² also determine good results of more than 14 hours during web browsing and a loop of a Full HD video. 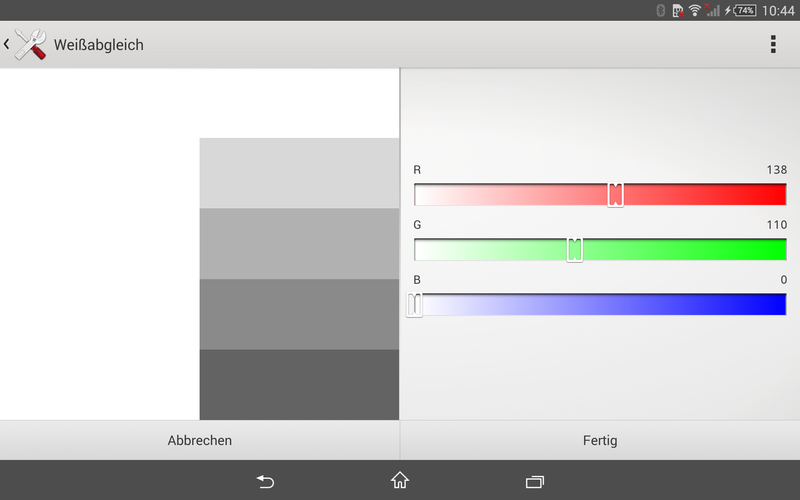 The battery test (200 cd/m²) of PCMark for Android determines an excellent result of eight hours and 43 minutes as well. 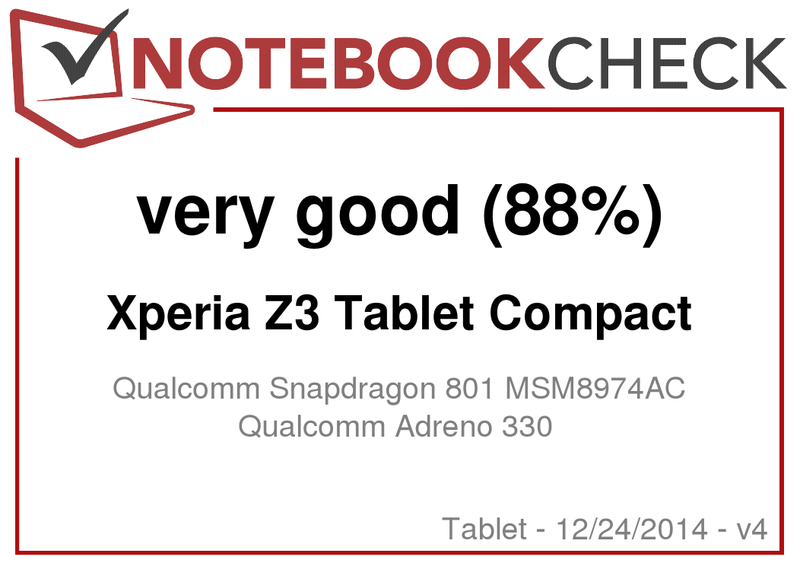 Sony did a great job with the runtimes, the Xperia Z3 Tablet Compact is a really enduring tablet. Only the charging time of four hours and 40 minutes is rather long. 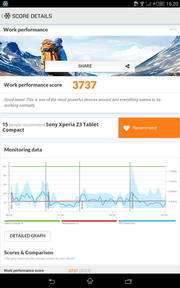 In Review: Sony Xperia Z3 Tablet Compact. 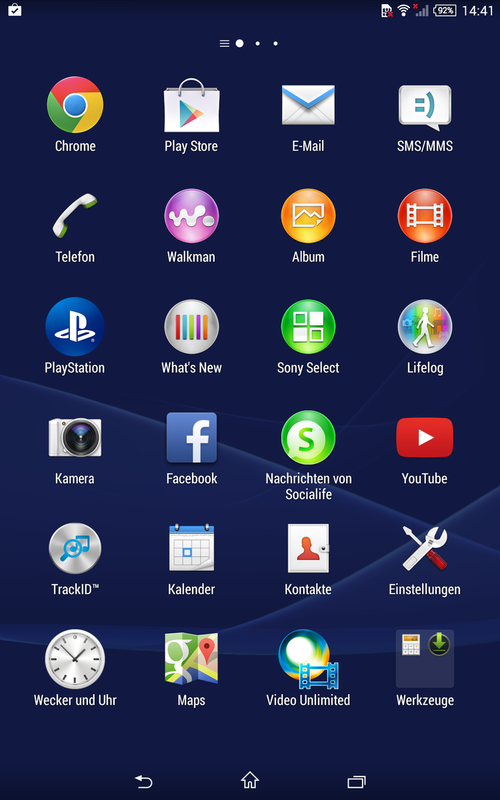 Sony has created a really convincing device with the Xperia Z3 Compact. Only the case stability and the color accuracy of the panel are small issues. The latter is otherwise one of the best screens in this price range. Brightness, pixel density and contrast are on a really good level. The Japanese do not use the latest and fastest SoC, but they still equip the tablet with a really powerful SoC that can always utilize its full potential. One thing that should be improved is the microphone. 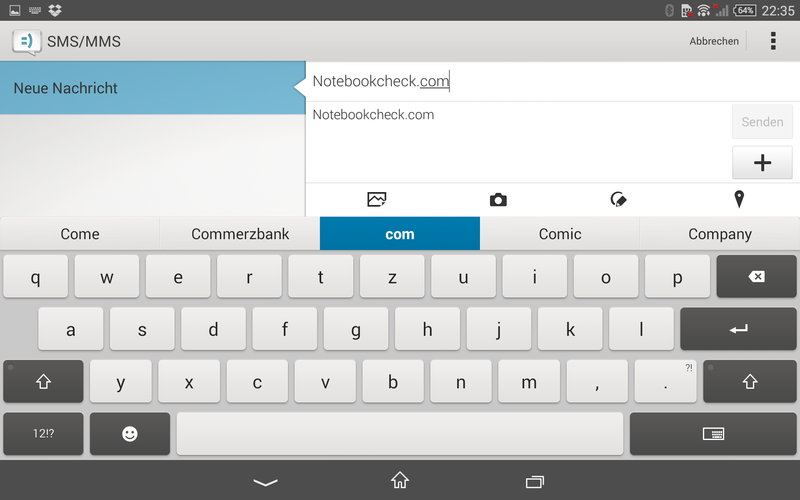 We also hope that the App2SD feature will be implemented with the update to Lollipop. However, this is complaining on a very high level, since Sony makes almost everything right and offers a great tablet, which is also waterproof and dust-resistant. There is hardly any alternative for the Xperia Z3 Tablet Compact if you want to watch movies or play games in the bathtub. Display enthusiasts on the other hand will be better off with the Galaxy Tab S 8.4. Fans of iOS do not have a choice anyway, and have to live with the products from Apple. However, the iPad Mini is the most sophisticated device within the comparison, but also has its price, especially if you want more storage or an LTE module. A less expensive and smaller alternative is the MediaPad X1. Still, our review unit is a very successful package and therefore deserves the top spot in this product category. In Review: Sony Xperia Z3 Tablet Compact. Review unit courtesy of Cyberport. The Xperia Z3 Tablet Compact has an 8-inch display. The panel is bright and has a high contrast. The front camera can only be used for video calls. 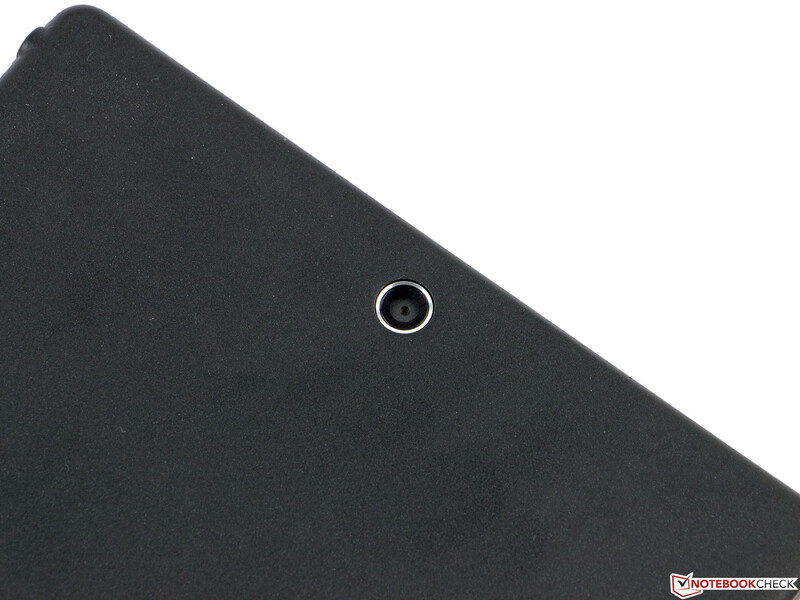 MicroSD and Nano SIM slot are hidden behind covers. 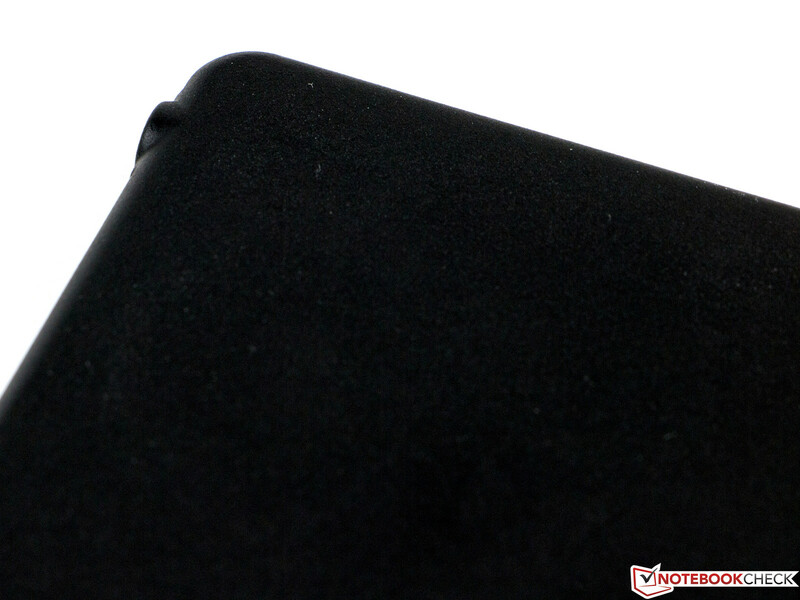 The Micro USB port is also protected by a cover against water and dust. The back is made of roughened plastic. The camera has a resolution of 8 MP, but there is no flash. 10.8 GB are available for the user. The storage test of PassMark Mobile crashed. The display is very colorful, has a high-contrast and we were able to measure a high luminance. The battery runtimes are great as well. A better microphone would certainly be good for everybody who likes to Skype. The tablet does have a video port with UHD support, but the camera itself cannot record Ultra HD videos. The main rivals are the Samsung Galaxy Tab S 8.4, HTC Google Nexus 9, Apple iPad Mini 3, Huawei MediaPad X1 7.0 as well as the Amazon Kindle Fire HFX 8.9.